If you are looking to migrate Outlook Mac emails to another email platform, users, especially newbies, are advised to spend ample time researching and evaluating the different tools online before settling on one. We will recommend evaluating based on speed, accuracy, and simplicity of conversion process and if it’s a native app to macOS by reading reviews and verified customer feedback on renowned sites like Amazon, etc. If you follow this, you will avoid hassles and troubles in store that typically accompany inferior software that has flooded the market today. 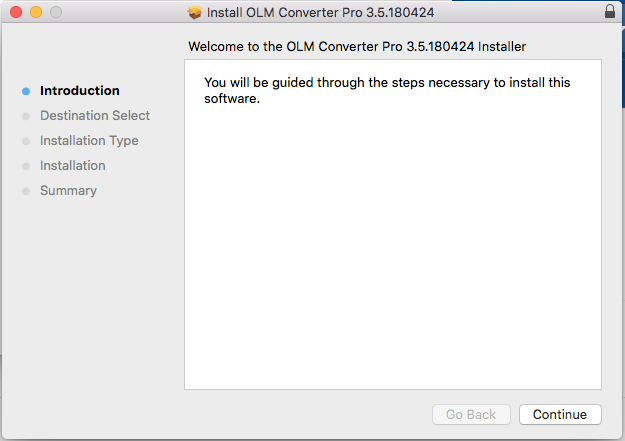 As a novice, it is easy to get confused when trying to find the perfect tool that meets all your conversion needs for converting olm to Apple Mail Account. However, this article will take you through all you need to know when it comes to migrating Mac Outlook olm files into Apple Mail App supported, mbox format. Olm to Apple Mail client conversion software is very useful for users facing various issues with their Outlook Mac. These may include the inability to view emails due to some system errors or data corruption hence requiring recovery. Some of us simply prefer another email client app as opposed to Mac Outlook and that is enough reason for a change. Whatever your reasons, the only trick is to invest in an excellent email conversion solution that should not only make your work easier by accurately converting olm files to apple mail format, mbox format, but also comes with additional features that enhance your experience. A lot of experienced users have gone through the painful process of losing precious email files because of using a substandard tool. Well, if you wish to never go through that again, then you are at the right place. We at Gladwev Software came up with a simple to use mail conversion solution for your olm file to Apple Mail conversion needs after identifying the gap area that none of the solutions in the market could perform to the correct standards. As a result, you get a fast, stable and professional tool that will ensure you never have to go through the fear of data loss and corruption. With Gladwev Outlook Mac to Apple Mail Converter, you will never have to worry about the safety of your emails. This mail conversion solution ensures no data loss during conversion process along with a 100% efficiency in results since it was first introduced in the market. That explains why it is loved by fans and critics too. The size or complexity of your files. This solution will handle it all, and more importantly, give you the peace of mind you deserve. This solution lets you convert all Emails, Contacts, Calendar, attachments, images, link entries from Outlook for Mac mailbox.Once the conversion is completed, you get a 100% Apple Mail Compatible mbox file, ready for import in Apple Mail client. 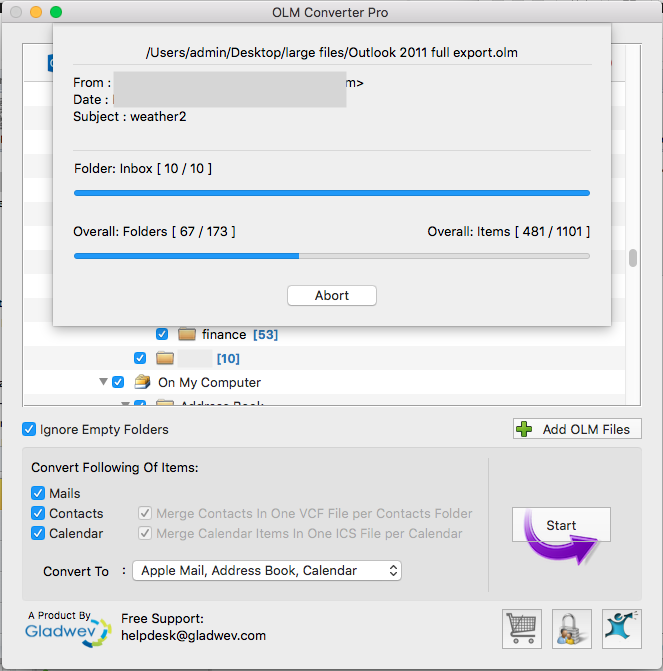 Gladwev’s OLM Converter Pro is designed such that after exporting olm to apple mail, mbox formats, it takes special care to ensure the converted content will retain the same structure and hierarchy. It boasts as the only tool in the market to pull-off this handy feature correctly. As a result, it saves you the trouble of having to organize the emails yourself like when using other software on the market. You can choose specific folders that you need to be converted and avoid any unnecessary email folders for conversion criteria. Users get a choice before performing the email migration process. It helps with moving only the relevant emails from olm to Apple mail client. 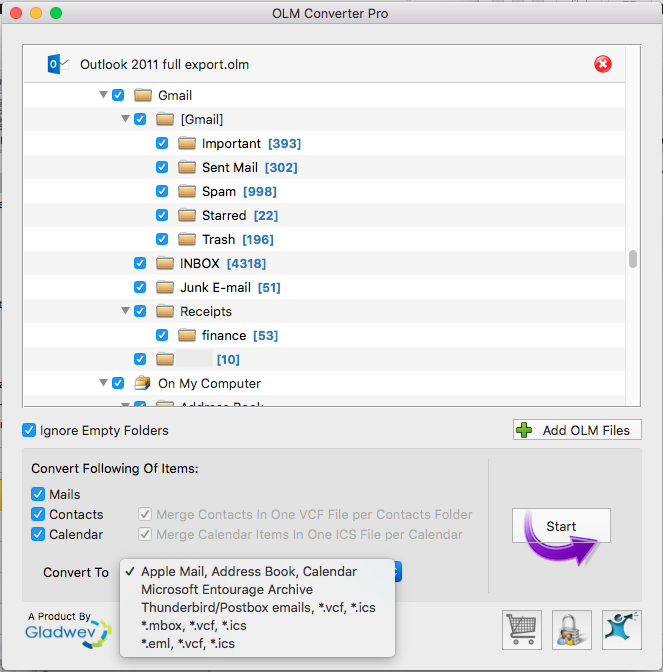 The OLM Converter Pro accurately converts each olm file component file to Apple Mail‘s mbox format in a short time interval. 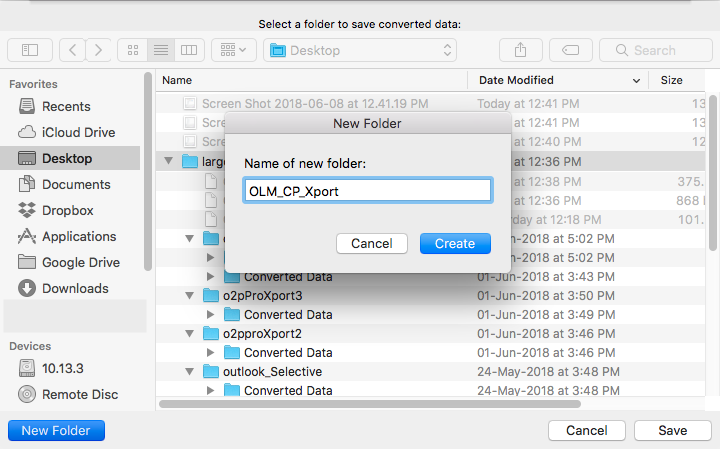 Thanks to its advanced conversion algorithms, it can quickly convert unlimited batches of olm files and save them in Apple Mail’s supported mbox format, etc. 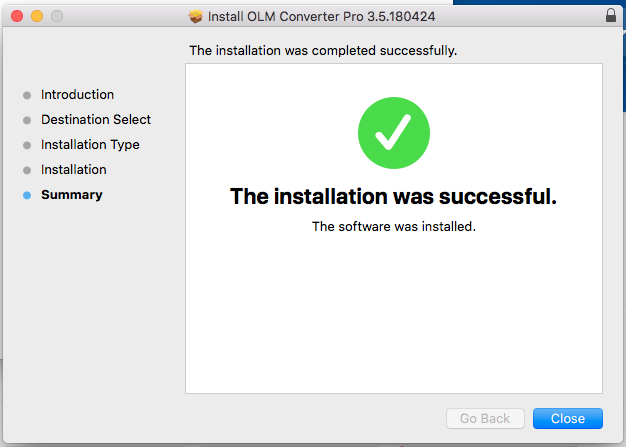 Users who are skeptical about the capability of the OLM Converter Pro are in luck. Anyone can try this tool and confirm that it works for their needs using the trial version. The free demo version is available online. You can convert ten emails in every folder of Outlook Mac to test out this magnificently simple to use app. Outlook Mac exports mails in OLM format which is not supported on Apple Mail. 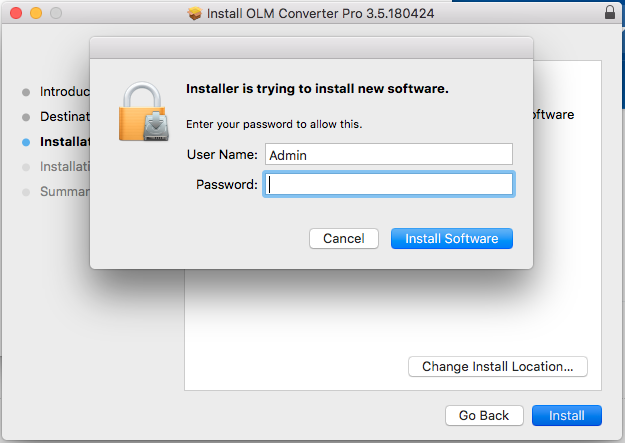 Thus you will need a tool to convert olm to apple mail format. After downloading the Installation file, Double-click the .pkg file. The Next window opens up as an introduction. Click on Continue. 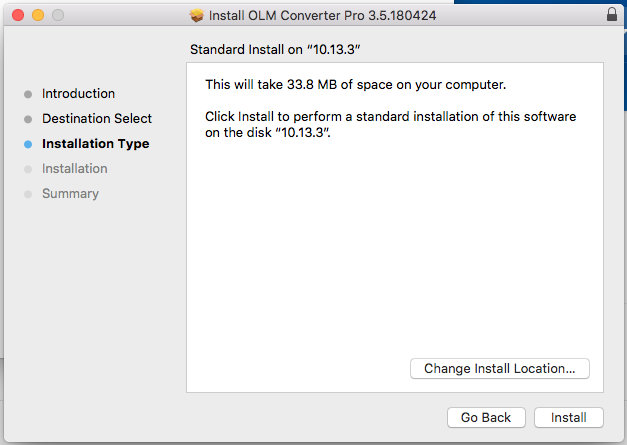 Select the Disk for installing the application. You can select Change Install Location to change the default storage location. Click Install to continue. Enter the System Password. Click on Install Software to continue. The Installation is completed. Click on Close. 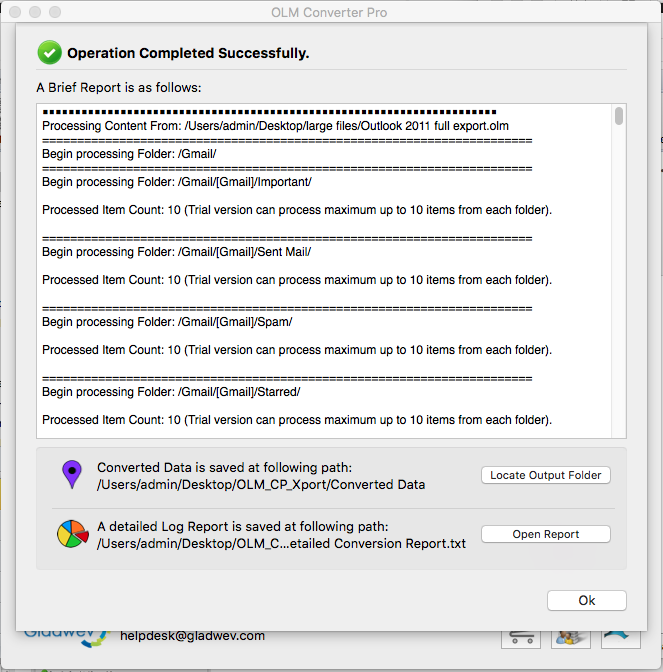 Open OLM converter Pro application from the Spotlight. Click on Add OLM Files. Now browse the location from where you need to export olm files to apple mail format. The OLM file appears with the folder hierarchy and info about the number of emails in every subfolder. You can add multiple files with “Add OLM Files” option for olm to apple mail conversion. Remove the OLM file by clicking the cross at the top right of the OLM profile. Hit the checkbox “Ignore Empty Folders” to avoid conversion of empty folders. Uncheck the folders that are not needed to be converted. You can limit your conversions by checking/unchecking the items from Mails/Contacts/Calendar. Click on Start to initialize the conversion. Assign the location and name to the exported file. The export process has started. Wait till the completion. The success of the conversion can be checked from the Log Report. The full log report can be accessed from the Open Report option. The exported data can be visited from the option: Locate Output Folder. Click on OK.
Is there a size limit to the number of olm files I can transfer to Apple Mail using this tool? 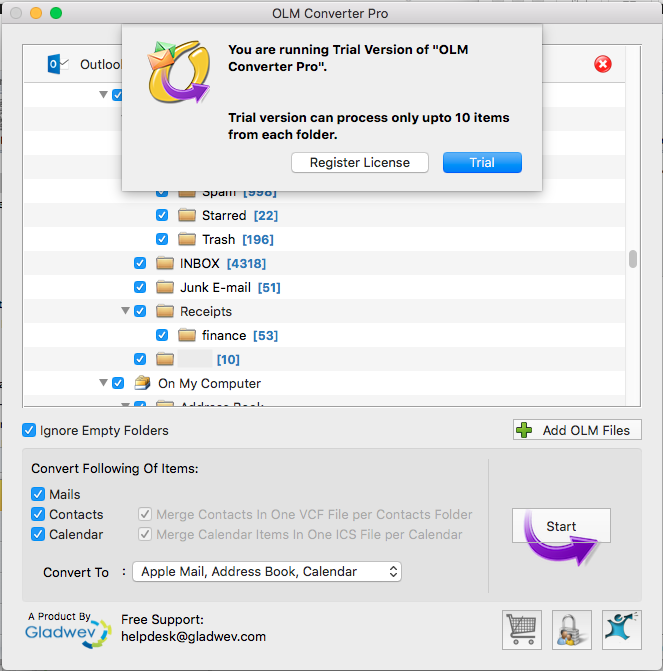 Answer: No, you can convert olm email files in bulk using the OLM Converter Pro. Also, the size of an individual olm file or folder is not an issue. Can I export MAC Outlook email attachments to Apple Mail? Answer: Yes, you can easily export attachments contained in your Mac Outlook database along with your original email messages, tasks, contacts, etc. The OLM Converter Pro leaves nothing behind.